What makes a marketable idea? If you’re a filmmaker, or a writer—and if you’re on this site, you probably are—you’ve probably received this critique at least once in your career: “I like the idea, but it needs to be more marketable.” On the surface, you probably have a basic understanding of what that means. It needs to appeal to a certain demographic. It has to have a strong, easily pitchable concept. It has to be fresh and new. You also probably have this sinking feeling in your stomach when you get that critique: the second something becomes “marketable,” it loses everything that makes it unique and meaningful, right? 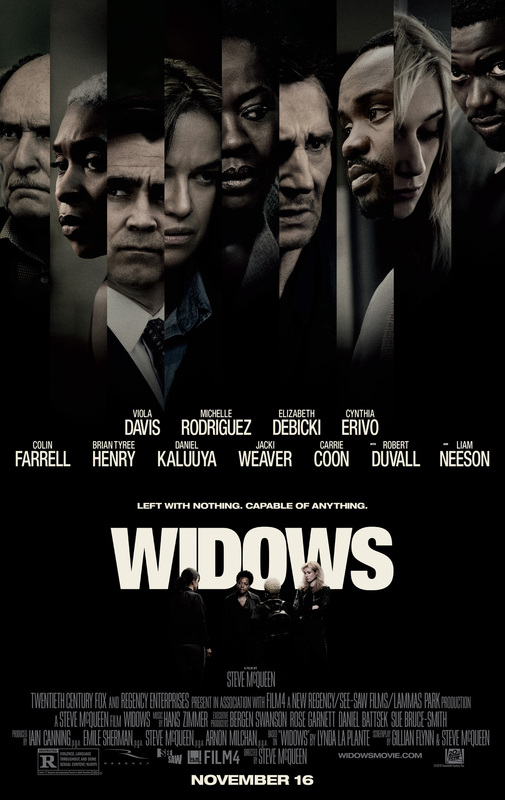 If you think that, watch Widows and see if you feel the same. The film follows Viola Davis as Veronica, the titular “widow” of a high-profile criminal (Harry Rawlings, played by Liam Neeson), who recently died in a shootout with the police during a heist. Turns out, Harry stole from the wrong guy: kingpin turned political candidate Jamal Manning. Manning wants his money back, and will do most anything to get it, including threatening Veronica. In order to get the money, Veronica decides to pull of her husband’s next heist, with the help of the fellow widows of Harry’s former team. On the surface, this idea is about as marketable as it gets. You have a strong, diverse, female-lead cast—one of the best things to have in Hollywood at the moment—pulling off a heist. It’s a strong concept, easily pitchable. . . the works. So you would expect this to be another soulless Hollywood action-thriller, right? In fact, this heist film isn’t about the heist at all. Both the heist and the planning involved take up only a fraction of the runtime. The rest of the film does a deep dive into each of these widows’ characters, while simultaneously commentating on the corrupt and dismal state of modern politics. There even manages to be a compelling subplot focusing on police brutality and our broken justice system. Audiences came in expecting a slick thriller. What they got was an ensemble drama, using a heist as its framing device. People familiar with Steve McQueen’s work will likely not be surprised by this. In-depth character work and subtle direction are his trademarks. He is also almost always political in his themes. But what can you, the writer or the filmmaker, learn from this? Many artists assume that because something is marketable, it is soulless and hollow. There’s no way to balance a commercial idea and still create compelling, relevant art that explores our humanity. Widows, with its slick logline and subtle, deeply affecting commentary, flatly disproves this theory. Just because something is marketable, doesn’t make it meaningless. Equally important: just because something is meaningful, doesn’t mean it can’t be marketable. The next time you’re told that your idea needs to be commercial, come back to this. Remember that Hollywood isn’t out to strip all the soul out of your work (. . . most of the time). Know that if you package your concept right, you’ll allow your ideas to be that much more accessible, to be seen and understood by that many more people. And that’s something to celebrate.